Cincinnati Bengals linebacker Rey Maualuga has announced plans to enter into the Betty Ford alcohol treatment facility next week. Maualuga, who just finished his rookie season with the Bengals, was arrested in Covington, Ky. on Jan 29 on DUI charges after the car he was driving collided into 2 parked vehicles and a parking meter. 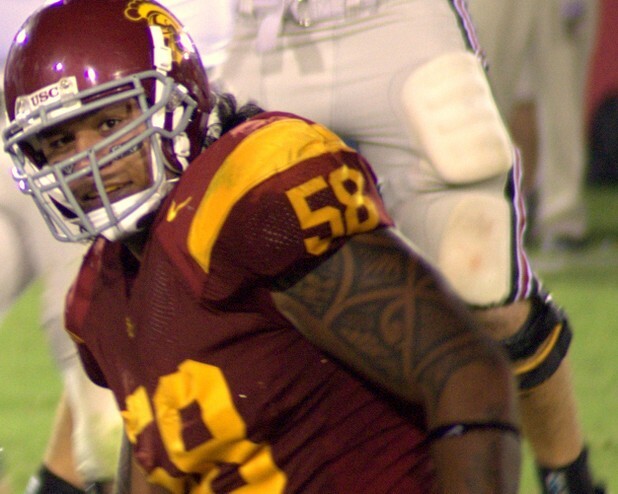 Maualuga pled guilty to the charges and apologized for his actions. He was sentenced to a 7 day suspended jail sentence and received a 90 day suspended driver’s license as well as 2 years of probation. He will also make restitution for any damages. NFL sources reveal that Maualuga will enter into Betty Ford Center in Rancho Mirage, California for a 30 day stay as soon as he returns from a previously scheduled visit to American Samoa, later on in the month. This isn’t Maualuga’s first alcohol related incident. While a freshman player at USC he was arrested on charges of alcohol involved misdemeanor battery. The charges against the young star player were eventually dropped in exchange for his agreement to attend Alcoholics Anonymous meetings. Think you need rehab or some form of addiction treatment but struggling with ambivalence and indecision? Take 10 minutes to try this cognitive behavioral technique called decisional balancing and you might find it easier to evaluate the pros and cons and to choose the best course of action.